At Phoenix Fresh Start Bankruptcy Attorneys, our team works with a diverse group of clients with a broad range of financial issues. Below are some of the most common worries that we are told are in the back of our clients minds before they come into one of our Phoenix Bankruptcy Law Offices for a free consultation. 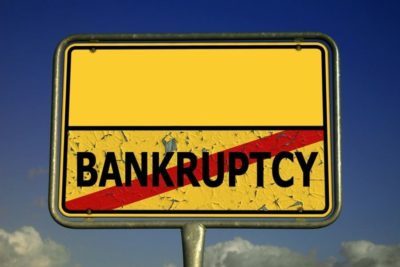 Am I Going to Lose the House if I File Bankruptcy? Don’t worry, your lender is not going to take your house in bankruptcy. If you have lived in the state of Arizona for two years, you can claim the Arizona Homestead exemption which protects at least $150,000 in home equity. If you are current on your mortgage payments and have under $150,000 in equity, there is no barrier to filing Chapter 7 bankruptcy. If you have more than $150,000 in home equity or are behind on your mortgage payments, you might want to consider Chapter 13 bankruptcy. If you are behind on your mortgage, you can repay the arrears over a long period of time, interest free. If you have excess equity in your house, you can still keep the house and pay that excess equity to your creditors over a period of time. Will you have to pay back everything in excess of $150,000? Well, no, the amount that you would repay would be further reduced by the fact that cost of sale, generally at least six-percent, would also be factored in. So If the house is worth $300,000 and you have $170,000 in equity, after factoring in the cost of sale, you would be let with roughly only $15,000 that you would have to pay back to all your unsecured creditors interest free over up to five years in order to eliminate all your debt and keep your home. Point is you get to keep the home and keep building equity. No reason why you should ever have to lose a car in bankruptcy. If you have lived in Arizona for two years, you are current on payments and you have less than $6000 in equity in your car, there is no reason you should lose your car unless you want to give it up. Let’s say you have more than $6000 in equity. You still have two solutions. First, you can make a deal with the trustee to pay the unprotected amount to him to distribute to your creditors. So if your car is worth 10,000 and you owe $2000 on it, you would have $8000 in equity with only $6000 of it protected, you could make a deal with the trustee to make monthly payments to pay off some portion of the unprotected $2000 in order to keep your car. If you have a ton of equity in a car or you are behind on your payments you can always file Chapter 13 bankruptcy. If you have too much equity, this filing will allow you to repay the amount that is unprotected extremely slowly, like over three to five years. If you are behind on your car the Chapter 13 filing will in effect render you current. Your worst case scenario is getting a chance to pay off the remainder of your loan over three to five years, often at a greatly reduced rate of interest. Many Phoenix filers are eligible to have the principal of their car loans reduced to the actual value of their vehicles. After Bankruptcy How Am I Ever Going to Get Another Car or Home Loan? Bankruptcy fun fact: filing can actually increase your credit score. The reality is that credit bureaus are always looking at your “debt to income ratio” when determining your level of risk as a borrower. When you eliminate your unsecured debt through bankruptcy, the ratio improves, though you might face an immediate hit upon filing, you are well on your way to having a great score. Our firm actually stacks the deck so that you can get a great score quickly after filing. We pay a company to help you rebuild your score so that you can have options again. We make this a part of our holistic approach to bankruptcy. Frankly the idea that bankruptcy is some sort of death sentence for your credit rating or your ability to secure loans or buy property is a just a myth. Shouldn’t I use a Consumer Credit Counseling Agency Instead of a Bankruptcy Firm? The fact is credit counseling companies are not completely ineffective. But their powers are limited. They don’t work with all credit companies, negotiate with the Internal Revenue Service or even help with your mortgage. Under some circumstances, they can create a tenable debt management plan for you. If your total of unsecured debt is less than $4000 or you are expecting a windfall to pay off all your creditors in the near future, opting for a counseling service might be a solid idea. Finding a trustworthy service and executing the debt repayment plan is often easier said than done. In any event, it doesn’t hurt to go over things with a qualified Arizona bankruptcy attorney first to get a lay of the landscape and review your options. As always, the key is to use the right tool for the situation at hand. Most of the time, the right tool is bankruptcy, but not always. If you do have worries about filing bankruptcy, the best way to process them is by attending a free consultation with a qualified bankruptcy attorney. At Phoenix Fresh Start Bankruptcy, we are happy to address any question you might have and we look forward to meeting with you.